Description:A century and a half ago, the escapees of the Irish Potato Famine constituted the most unwanted and despised group in America. Today, their descendants, along with those of subsequent Irish immigrants, form one of the most “fashionable” ethnic identities in our country. How did this remarkable change come about? In this course we will examine the experience of the Irish in America from the Scotch Irish to the Famine Irish to the “New Irish” of recent years. In addition to a chronological survey of political and social developments, some specific areas will be highlighted--the Irish in the Labor Movement, the effects of the Famine, and the role of Irish and Irish American women. Irish Studies 391: History and Memory. This course may be co-listed with History 392W: Colloquium. Prerequisites: open to students with 18 credits in History, or 15 credits towards the Irish Studies Minor. Description: This course will contrast forms of Irish memory from Ireland, Northern Ireland, Britain, and America. Primary documents of historiography, folklore, textual, musical, and visual sources from Ireland will be compared with those from Britain and Northern Ireland, as well as those from the immigrant diaspora in the United States. Students will examine diverse memories of such pivotal events in Irish history as: the 1641 atrocities; the Cromwellian conquest and confiscations; the Famine; and the conflict in Northern Ireland. Topics for study include: how memory is contested by different groups, often according to their own particular interests; how recent historiography on the subject of memory in Ireland has opened debate on received interpretations; understanding what constitutes a primary document, including music, murals, monuments or films, serving as documents of memory. Description:This course traces the development of Irish society from the initial settlement by foraging peoples through the development of agriculture and metallurgy to the origins of chiefdoms and states. Special attention is given to the Celtic Iron Age Society. 3hr; 3 cr. Prereq. : English 110. Six credits in social science or sophomore standing. Description: A study of the Celtic literature of the British Isles from the age of Beowulf to the age of Chaucer, focusing primarily on the treatment in prose and verse of the figures of the king, the goddess, the warrior, and the poet in Irish and Welsh tradition. 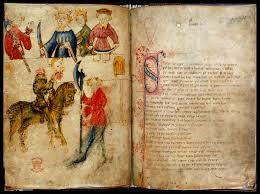 Attention is given to the relationships among Celtic, English, and continental literatures. All readings in English translation. Description: A survey of important works of Irish literature from the Middle Ages to the present, with emphasis on the continuity of Irish tradition as well as on the shifting political and social contexts in which Irish literature has been produced. Readings will include Old and Middle Irish poetry and saga; the literature of both Anglo-Irish ascendancy and conquered Gaelic Ireland during the long period of English rule; the poetry, drama, and fiction of the extraordinary literary revival that took place in the late nineteenth and early twentieth centuries; and the literature of modern and contemporary Ireland. Description: A study of modern Irish writers in the context of Irish history and culture. Authors will include W.B. Yeats, Lady Augusta Gregory, J.M. Synge, James Joyce, Samuel Beckett, Edna O’Brien, Eavan Boland, Seamus Heaney, and Nuala Ní Dhomhnaill. Description: Detailed study of a major writer, such as W. B. Yeats, James Joyce, Brian O’Nolan, Seamus Heaney, Medbh McGuckian or of a group of writers, such as the contemporary Ulster poets. This is a variable topics course, which may be taken more than once if the topic is different but may be applied only once to the major. Description:A study of Irish culture from ancient times to the Norman Conquest, the second wave of colonization in the Elizabethan period, and the wars of the seventeenth century. Description:This course surveys the major political, economic, and social developments in Ireland from the Treaty of Limerick to today’s “Celtic Tiger” economy in the Republic and the peace process in Northern Ireland. Events highlighted in the early part of this course include the Penal Era, the emergence of “Protestant Nationalism,” the birth of Irish Republicanism among Ulster Presbyterian Radicals, the Act of Union, Catholic Emancipation, and the causes and consequences of the 1840’s Famine. The survey of post-Famine Ireland covers the development of modern Nationalism and Unionism with an examination of why Ireland was partitioned along apparently religious lines in the 1920’s. An overview of Ireland since Partition concludes with an analysis of the current economy in the Republic and the prospects for continuing peace and devolved government in Northern Ireland. Description: Ireland is a country with an intense historical consciousness, manifested in a variety of ways. This course will explore how the past was contained in the popular consciousness through forms such as folklore, myth, ghost stories, material objects (such as ruins), literature and channels of remembrance other than traditional history writing itself. Working from particular case studies across the centuries, we will explore these alternate sources for their richness (as well as their problems as sources) in order to come to a deeper and richer understanding of Ireland's past. Description: This class will explore the major religious, political, cultural, and intellectual developments that took place in England and Ireland over the course of the sixteenth and seventeenth centuries. Not only was the age a crucial one for both countries, together and separately, but so does it continue to be one of the most contested, controversial, and debated periods among historians of any time or place. Students will become acquainted with literature and religion as they reflected and shaped historical developments. Students will also come to engage critically with the past through close readings of primary sources and other documents. By mastering the broad developments of one of the most important periods in history, students will deepen their understanding of the past and present, further sharpening their skills and critical facilities as historians. Description: This course will examine the conflict in Northern Ireland from the start of the Civil Rights Movement, through the war, peace negotiations, and power sharing of Catholics and Protestants in the current government. The armed struggle among official state forces and paramilitary groups from both Protestant and Catholic communities will be studied alongside the efforts of the various political parties to negotiate, share power, and recognize the civil rights of all. We will study economic and cultural conditions within Catholic and Protestant communities, and the varieties of politics within them. We will pay particular attention to such movements as Field Day, which sponsored theatre throughout the countryside in order to try to create political reflection and understanding on all sides. A tragic period in Irish history, the "Troubles" also inspired a wealth of literature that attempted to express the grief over the loss of life, and the desire to move the culture beyond armed conflict. This synthesis course will help students understand the relationships between memory and history, symbolism and politics, as well as the way all of these are represented and critically reflected upon in literature and film. Prereq. Upper junior or senior standing, or permission of the instructor. Description:Advanced study of special problems to be taken on a tutorial basis during upper junior or senior year.